Shared Living - a Solution to the Housing Crisis? Shared Living – a Solution to the Housing Crisis? Over the last few decades, there has been an increasing trend towards living alone or with immediate family. However, the increase of the sharing economy has been changing that. The founders of Home Share Melbourne think there is much to be gained from rediscovering shared living, and that it might be a big part of the solution to the current housing affordability crisis. Homeshare is an international concept that originated in the USA, and was designed to match an older person (or a person with a disability) with someone who can provide support, practical help and companionship. Home Share Melbourne is taking the model and expanding it to match people from all walks of life – and provide a possible solution to the current housing crisis in Melbourne. With over 1 million homes in Australia with 3 or more empty bedrooms, we think it’s an idea worth backing. HANZA Inc (the Homeshare Australia and New Zealand Alliance) has been supporting and working with organisations across Australia and New Zealand since 2000 to set up home share programs and now it is launching its own program – Home Share Melbourne. 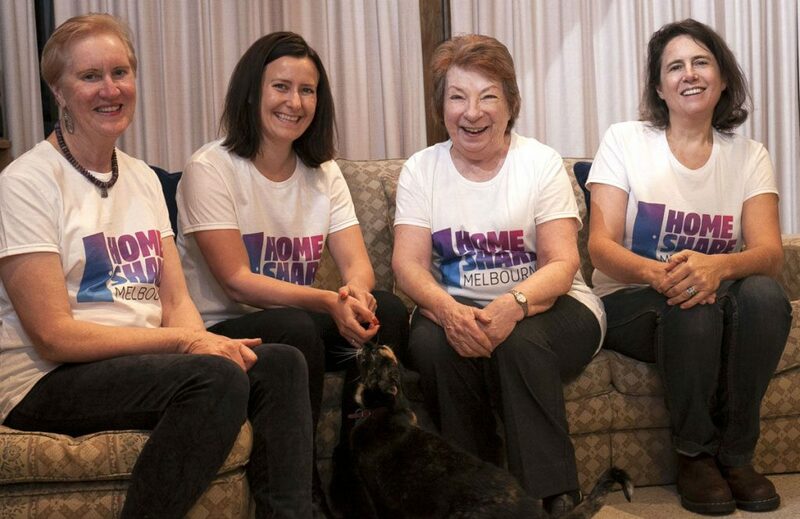 Carla Raynes is one of the founders of HomeShare Melbourne and has over a decades’ experience working in frontline homeless services – both here in Australia and in the UK. HomeShare Melbourne is aiming to be part of the solution by carefully matching Householders willing to open their homes to someone who’s at risk of facing housing crisis, such as asylum seekers, people over the age of 55 and young people with limited supports. There is a trend towards single occupancy homes, and according to 2016 Census data, an estimated 24.4 % of Australians live alone, with the average lone Householder being a woman over the age of 60 years. Many lone Householders are maintaining 2-3 bedroom properties, wanting to stay in their own home and in their familiar community. Home Share Melbourne sees this as an opportunity. As I wrote last week, the permanently inflated housing market is responsible for the increasing number of people paying 30% or more of their income on rent. We can see this clearly in 2016 Census data, which shows a clear correlation between the cost of housing and levels of homelessness. Being employed used to provide a buffer against homelessness, but with exorbitant rents and flat wages, a shocking 30% of people experiencing homelessness are in fact employed. The model is simple. Home Share Melbourne carefully matches a Householder with someone looking for affordable housing (Homesharer), and they can agree to provide 0-10 hours of support to the household, and depending on that commitment they will pay some nominal level of lodging fees. Home Share Melbourne is planning to make 75 matches that support at least 150 people in a 3 year pilot period. The pilot will run in the City of Port Phillip (Melbourne) and surrounding areas, which has one of Melbourne’s lowest proportions of affordable new lettings and expand from there. Home Share Melbourne is ready to be launched and it will be a grant from StreetFunders that gets things up and running. We acknowledge the Traditional Custodians of the lands on which our organisation is located and where we conduct our business. We pay our respects to Elders, past and present. StreetSmart is committed to honouring Indigenous peoples’ unique cultural and spiritual relationships to the land, waters and seas and their rich contribution to society.